The Automix Ultracomp is the first system to use a microprocessor. Intel had introduced the world’s first single-chip microprocessor, the Intel 4004, two years before. The Dainippon Screen SG-701 color scanner is launched and becomes the company’s biggest commercial success. 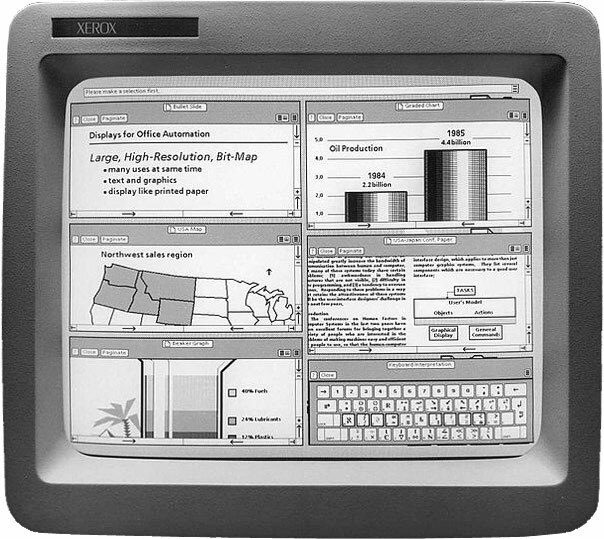 Xerox develops the graphical user interface for its Alto computer. This computer will influence many systems in the next decade, including the Apple Lisa and Macintosh, and the first Sun workstations. Bravo, a document preparation program for the Alto, is generally considered the first WYSIWYG (What You See Is What You Get) application, capable of accurately representing the printed end result on the computer monitor. Atex is founded in Massachusetts by Douglas Drane and two brothers, Charles and Richard Ying. The company sells its first electronic composition system a year later to U.S. News and World Report. For the next 25 years, Atex will be a major supplier of editorial systems in the newspaper industry. Newspaper circulation reaches its highest level ever in the US. It will remain fairly steady until a gradual decline sets in during the mid-’80s. 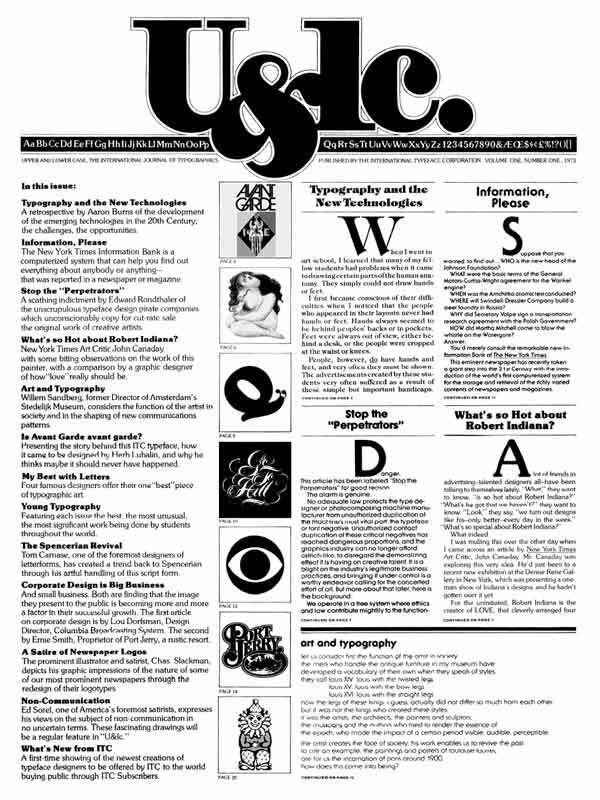 ITC publishes the first edition of U&lc (Upper & lower case), a magazine about typography targeting the design community. The last of the 120 issues appears in 1999. Until his death in 1981 Herb Lubalin is the art director. Picadilly, designed by Christopher Matthews, is my personal pick as the typeface of the year. Click it to see an enlarged version, so that more detail becomes visible. The first handheld mobile phone call is made by Martin Cooper of Motorola. Artist Pablo Picasso dies at his home in France. Skylab, the United States’ first space station, is launched. The Yom Kippur War is the fourth and largest Arab–Israeli conflict, ending in a military victory for Israel.